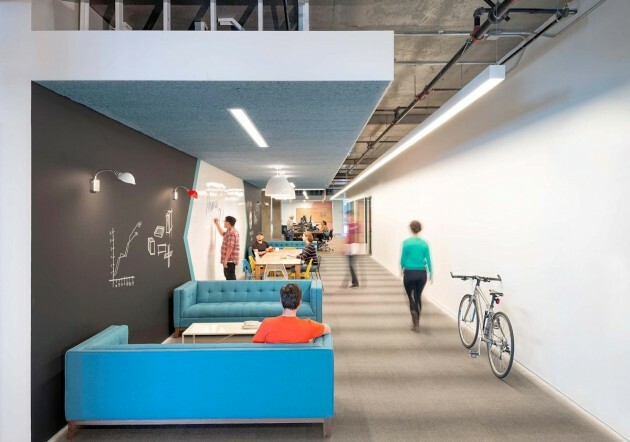 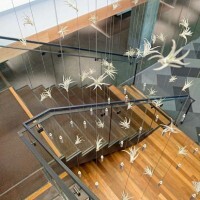 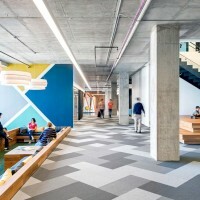 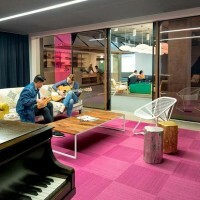 Studio O+A have designed the new offices for Cisco-Meraki in San Francisco, California. 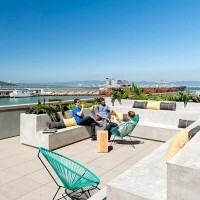 The panoramic view of San Francisco’s waterfront from Cisco-Meraki’s new offices in some way sets the theme for O+A’s design. 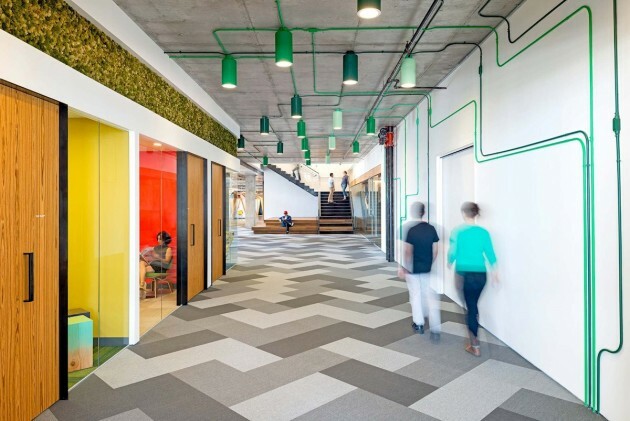 Viewed from almost any angle, the interiors create and impression of light, spaciousness, bright color, long sightlines. 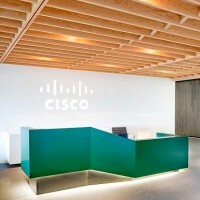 Meraki, which was recently acquired by Cisco Systems, takes pride in the elegance of the wireless routers it designs. 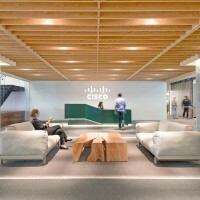 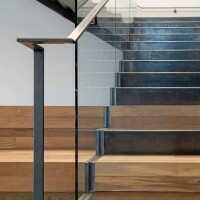 O+A sought to build the space the way Cisco-Meraki builds its products, with an emphasis on simplicity and seamless ease of use, while remaining mindful of the importance of the Cisco-Meraki merger to the company’s identity. 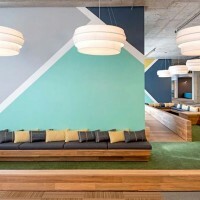 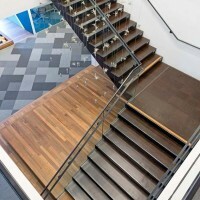 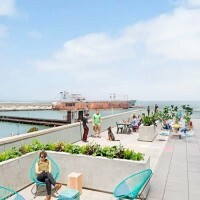 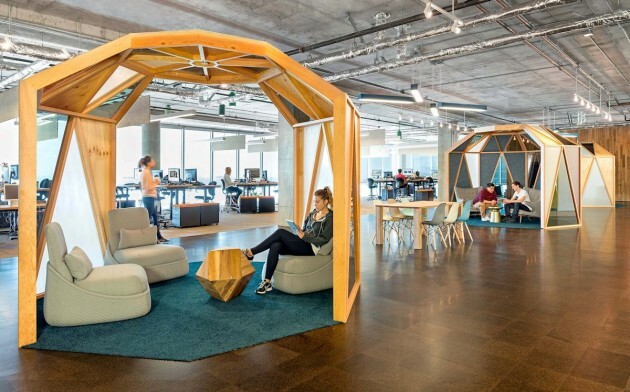 Located in the rapidly changing Mission Bay neighborhood, Cisco’s 110,000 square foot suite of offices now becomes Cisco’s principal San Francisco location. 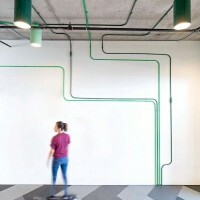 At the outset O+A surveyed Meraki’s employees to find out what they liked about their old, much smaller headquarters. 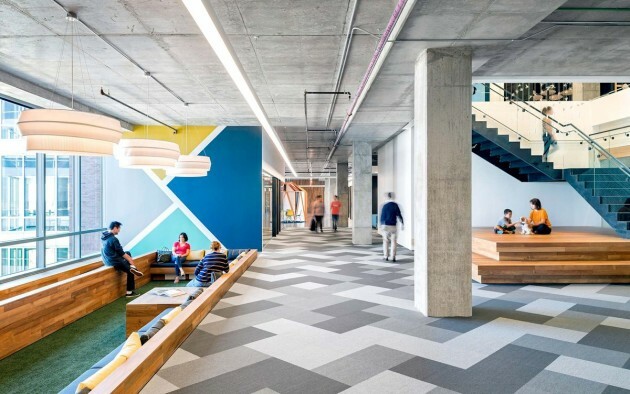 A consensus emerged for natural light, plenty of collaboration space and preservation of the company’s tightly knit culture. 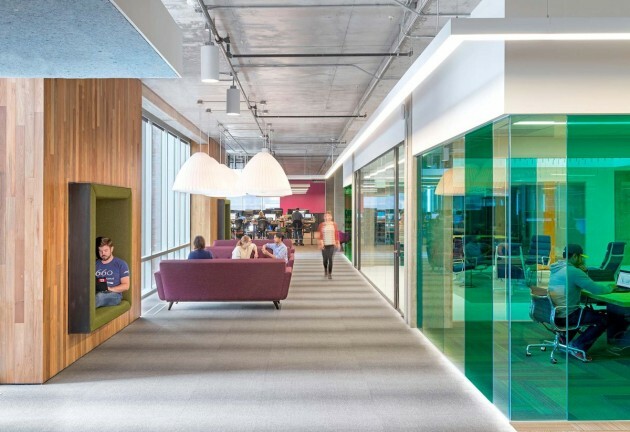 The size of the new space and the prominence of its floor-to-ceiling windows made collaboration and natural light relatively easy bills to incorporate. 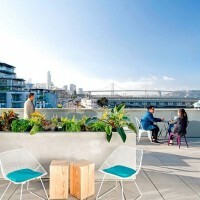 O+A’s design offers a variety of meeting spaces – formal and informal, indoor and outdoor – many of them bathed in the crystalline light of San Francisco Bay. 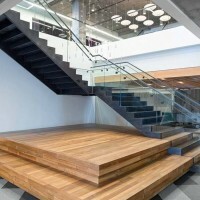 The scale and the light support both a rich palette of colors and design elements: a wide staircase with integrated stadium seating at its base, a meeting room with hanging tillandsia plants, and an outdoor deck offering views of the baseball park and Bay Bridge. 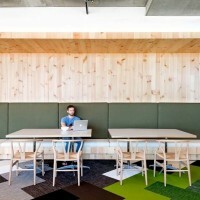 Maintaining Meraki’s cozy ambience in the hangar-sized complex proved more challenging. 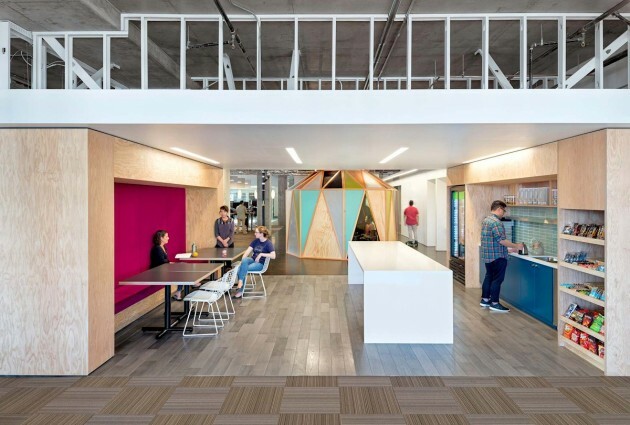 O+A’s solution was to create a medley of small gathering spaces within the larger footprint. 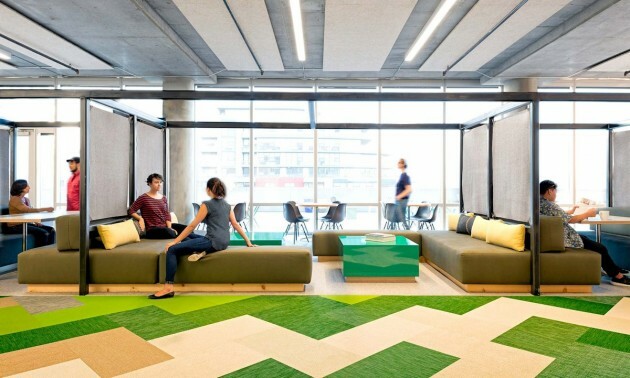 Sunken seating brings intimacy to horizontal common areas while preserving broad sightlines. 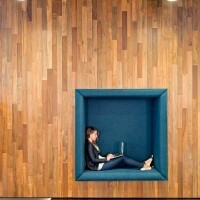 Yurts, cabanas and phone rooms offer varying levels of enclosure. 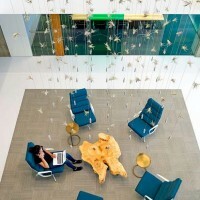 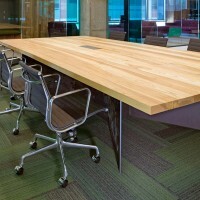 Throughout the office, colleagues can sit down and talk in information lounge spaces.